MALLOW-BASED JERRY Mullally has become the second councillor to resign from Labour in the last 24 hours, saying the party has “led people astray”. Mullally confirmed his resignation from the party this afternoon and told TheJournal.ie that he was “totally unhappy” about some of the measures taken in the Budget last October as well as the introduction of the property tax and cuts for pensioners. “I felt the Labour Party have led people astray… they’ve broken their promises,” he said. “I believe they should not have introduced water charges while they cannot ensure the quality of water to people,” he said. Mullally voted against Labour going into government in 2011 and said that he has been disillusioned with the party as far back as 2009 when he said a candidate was “imposed on me” in the Mallow area by “faceless people”. A councillor since 1999, Mullally had intended to go forward for the party’s selection convention next Monday, but now says he will run as an independent in May’s local elections. He believes more people within Labour will quit the party in the lead-up to the local elections. He also identified a split between the likes of himself who he described as “old Labour Party” and “a Democratic Left faction”, the party – of which Pat Rabbitte and Eamon Gilmore were members - which was merged into Labour in 1999. Last night, South Dublin Mayor Dermot Looney announced his resignation from the party, saying it had “kowtowed” to Fine Gael in government. An analysis by TheJournal.ie shows that a total of 28 councillors have left Labour since it went into government in March 2011, all of whom have identified their dissatisfaction with the policies the party has been pursuing in coalition government. Email “Number 28: Mallow town councillor is the latest to resign from Labour ”. 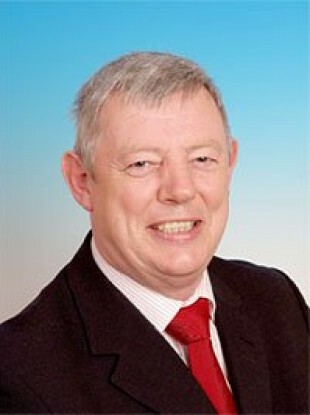 Feedback on “Number 28: Mallow town councillor is the latest to resign from Labour ”.